The Nigerian National Petroleum Commission, NNPC, which was implicated in the report, had earlier this week spoken out against the report, describing it as “absurd”, and now the Minister of Petroleum Resources, Diezani Allison-Madueke, and the Group Managing Director of the NNPC have gone further to state that they will not resign from their jobs. The minister was accused of reintroducing a kerosene subsidy in spite of a subsisting presidential directive stopping the continued inclusion of the commodity in the subsidy scheme as well as conniving with the NNPC to illegally convert subsidy funds towards private use. “Given the widespread nature of abuses, fraud, sharp practices, manipulations, massive corruption and inefficiencies that held sway in the management of the various agencies under the Ministry, it is very clear that the Ministry failed in its supervisory responsibilities.” the report said. 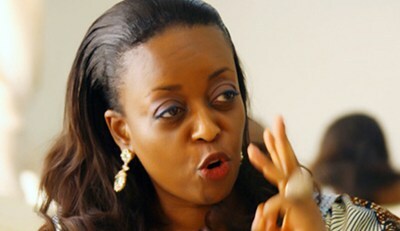 The Minister and the NNPC boss have however dismissed the allegations. Speaking through an unnamed aide to the Premium Times, they stated that the report “cannot be taken seriously” and described it as simply being the opinion of the members of the committee. “As you are aware, the report has just been laid before the House, ”the aide said. “It is yet to be adopted for deliberation by the entire House. So, the report is still largely the ordinary opinion of the committee and its members. “To that extent, it is presumptuous and absolutely premature for anyone, whether he is the GMD or the minister, to talk about wanting to resign or not.